Balloon Decor have decorated many special occasions over the years through our collections service, delivery and set up services. Childhood years are a special time and why not celebrate those key moments. 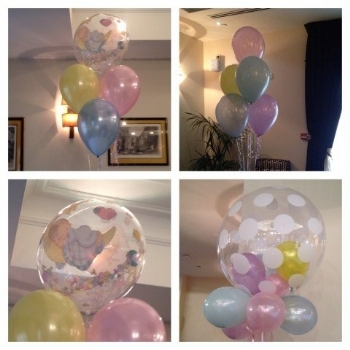 From a single balloon to a party fully decorated, nothing is too small or too large for us at Balloon Decor. Favourite colour? Favourite character? Themed? Everything can be catered for by us at Balloon Decor. Contact us now or come down and see us to see how we can help decorate your special occasion!